Dassault’s Falcon 20-5 comes after two Falcon 20 upgrades which included new engines and improved performance. This midsize jet has been perfected over the years to continue delivering seamless travel experiences. 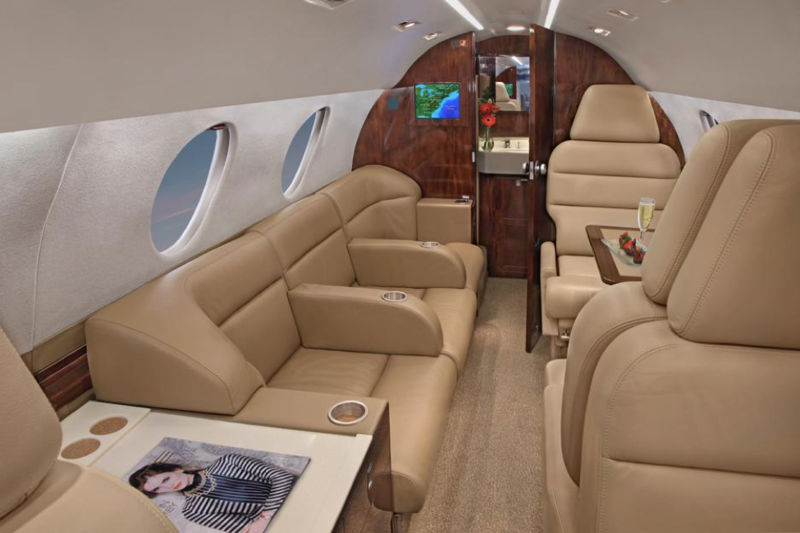 At 700 cubic feet, the Falcon 20-5’s midsize cabin is host to two living areas and can accommodate eight to ten passengers. The two zones can be configured in a double-club arrangement or a club and divan combination. At 24 feet long, the cabin has a forward galley equipped with all the necessities and the aft lavatory has full-width for more comfort. After the Falcon 20 was introduced to the market, it received two engine upgrades to improve speed and power. The second upgrade gave the aircraft two Allied Signal engines, each producing 4,750 pounds of thrust. 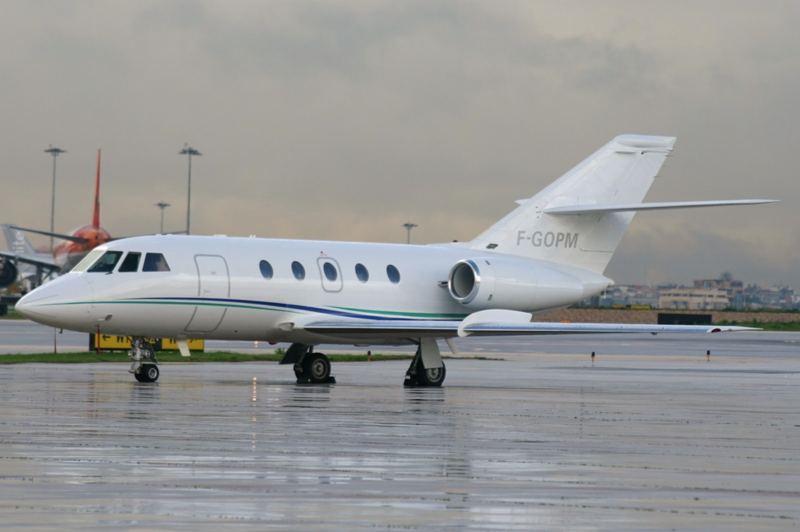 With an additional 250 pounds of thrust compared to the previous engines, the aircraft became the Falcon 20-5. The new engines not only improve aircraft power, but improve other areas as well. The Falcon 20-5 can climb to an altitude of 39,000 feet in just 27 minutes, which is seven minutes less than with the previous engines. The aircraft can carry an additional 850 pounds, increasing the maximum take-off weight to 30,325 pounds. Additionally, the engines help to increase the range to 2,258 nautical miles. In the cockpit, pilots will find the Collins Pro Line 4 system with APS 30 autopilot. 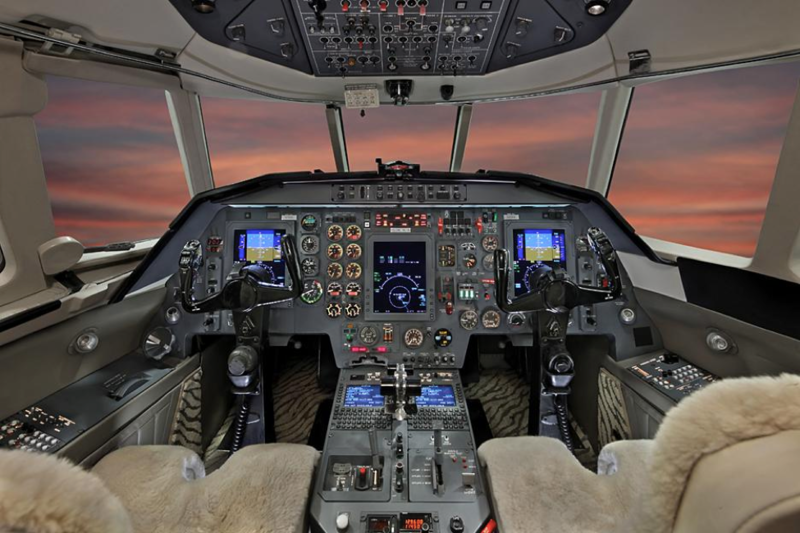 The cockpit also features various other systems including Sperry Primus 400 color weather radar that decreases workload and increases awareness. Fitted with better and more powerful engines, the Falcon 20-5 has evolved within the midsize jet category. With greater speed, range, and climb performance, the Falcon 20-5 provides seamless travel on every flight.